I want to take a moment to share some thoughts with my readers. A year ago my book launched: 12 Ways Your Phone Is Changing You. I knew it was too Christian to get wide play in the mass market. I knew it was too self-critical to lure in readers seeking self-affirmation. I figured it was too theological to get admired in our evangelical climate. I figured a large Christian magazine would give it 2/5 stars (it got 3!). Because none of it dissuades me from writing the books I want to write. Theologically robust. Self-critical of the reader (and the author!). Exegetical. Journalistic. Investigative. And here’s why it all works . . . YOU!! YOU shared the book online and offline. You held it up from pulpits. You reviewed it. You bought cases to hand out to friends, care groups, and kids. You made it spread. You made it impossible to ignore. Major denominations and campus ministries promoted it at conferences and in journals. 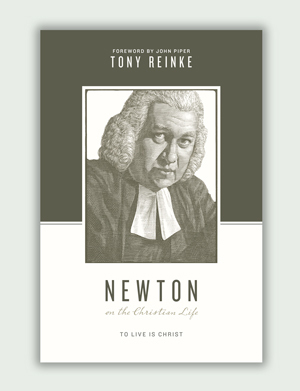 It got selected as the free audiobook of the month by christianaudio. The book is now licensed to 9 international publishers for translation. In the publishing market, plagued by its razor thin margins, many authors face tremendous pressure to cave to editors aiming at pop appetites. I don’t. I write the books I want to write, in complete freedom, because (1) I have a publisher that believes books should be better than what the mass market wants, and that authors are better when they fear God more than the market’s silence. And (2) I have readers who share my vision of God and vision of the world. My promise to you: I refuse to become a professional author. I only write books when I must. Maybe one more, two, four — who knows? But I know I will never ask my busy wife to edit, or for you to read, any book not driven by an urgent need to share with you a necessary message yet unpublished. So I continue plugging away. Writing as a deeply grateful author, looking back on an amazing year. The abundant grace God has given to me comes in many ways through you, and I don’t take it for granted. I look forward to the future, and want to thank you for your role in that future. 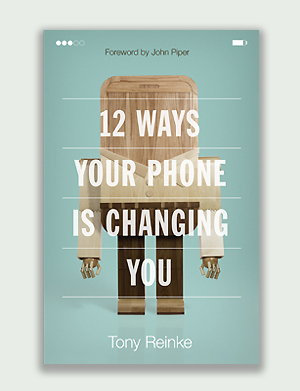 I already read the book 12 ways your phone is changing you and I find it very useful for me and my generation! We are so fascinated with social media and technology that we don’t realise that all this fascination can change our theology and priorities! Thank you for sharing your studies your ministry and modesty! May God speak well of you! That is really encouraging… although perhaps it was not intended to be, it is a good word for all of us to keep writing, and to keep believing that God will glorify Himself through the efforts of His people- even by the efforts of the little fish – like me! :) Keep writing! And, I’ll keep reading! Please do keep plugging away! 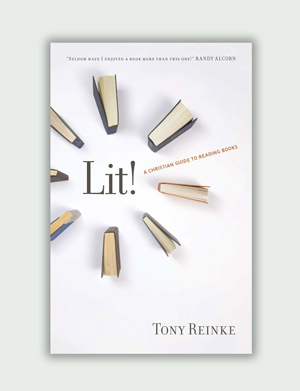 Both ‘Lit!’ and ’12 Ways’ have greatly influenced my reading and phone habits, and I’m very grateful you chose to write them. Thanks for writing them! Deeply honored, thank you Elizabeth!